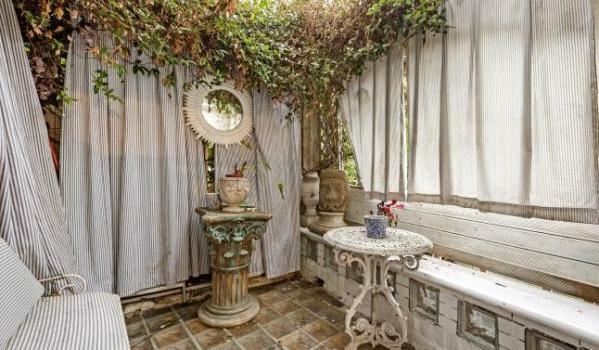 They say you shouldn’t judge a book by its cover, and the same goes for property. 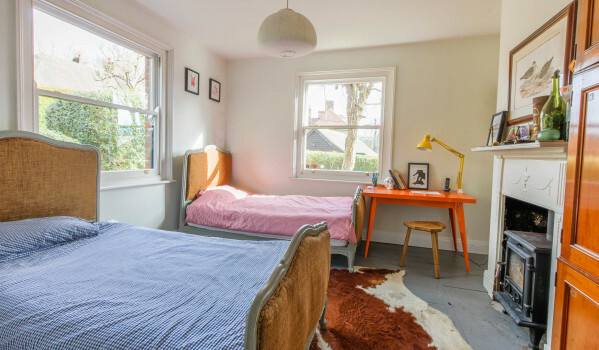 This modest bungalow, super skinny terrace and west London townhouse all deserve a second look. 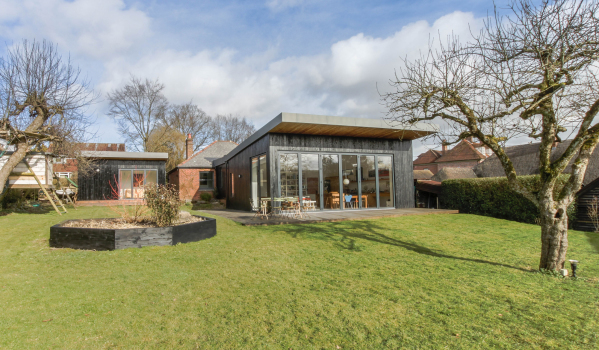 This unassuming 1920s bungalow in Ibthorpe, Hampshire, has been jet-packed into the 21st century with a stunning extension that doubles the size of the property yet is hidden from the street. The black-washed larch clad extension with its modern zinc roof cost £150,000 and has completely transformed the modest red-brick bungalow. 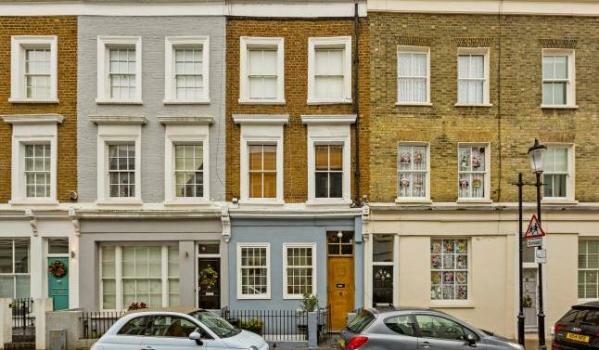 It’s now on the market for £795,000 with Evans & Partridge. An open-plan kitchen, dining and living area with spectacular countryside views is the main hub of the home. Polished concrete floors and aluminium framed folding doors add a contemporary edge, and the handmade solid oak kitchen includes an integrated dishwasher, a Rangemaster cooker and central island with a breakfast bar. 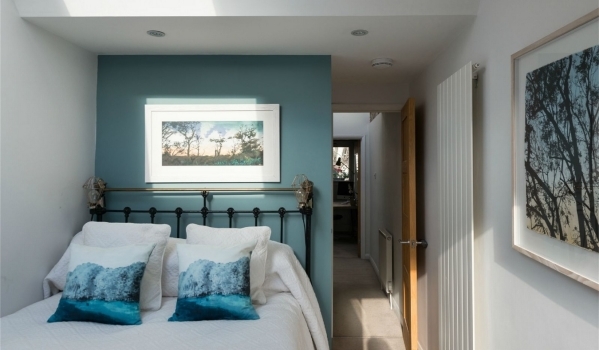 The pick of four double bedrooms is the master bedroom, boasting an en suite bathroom, while the remainder are supplemented by a family bathroom. 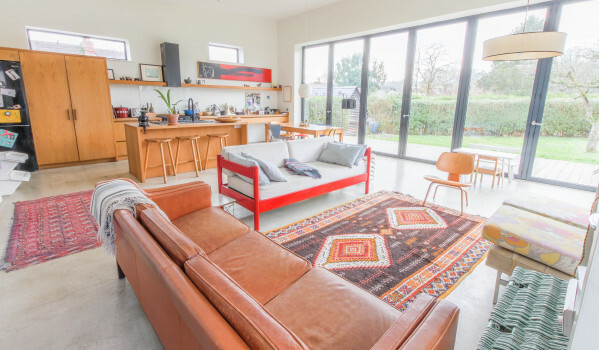 A utility room completes the bungalow, while underfloor heating and an air source heat pump – that absorbs and uses heat from outside even when temperatures drop as low as minus 15 degrees – were also among the additions made. A detached garage and workshop contains a guest bed-sitting room along with with en suite shower room and separate veranda. This space could be extended further to become a self-contained annexe, subject to planning permission. You wouldn’t bat an eyelid driving past what looks like an ordinary London townhouse. 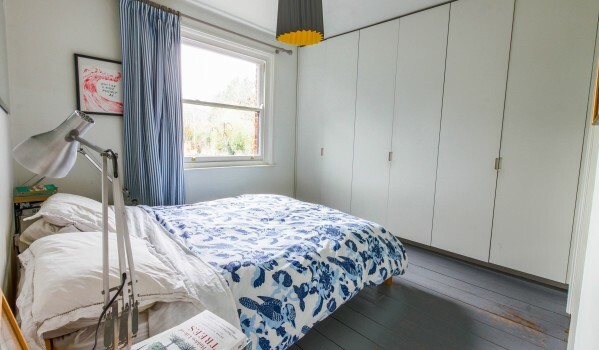 But this two-bedroom split-level flat has been thoroughly remodelled by its current artist-owner, who has lived there for the past 20 years. It’s now on the market for £1.38m with Douglas & Gordon. 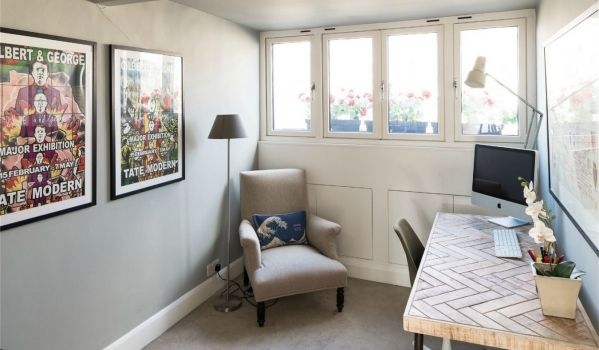 The Holland Park flat has been kitted out in everything from wood panelling to mirrored walls and brick archways - and that’s just the reception room. The eclectic decor is paired with an equally extravagant collection of art that includes an enormous Buddha sculpture and a combination of modern art and historic paintings. 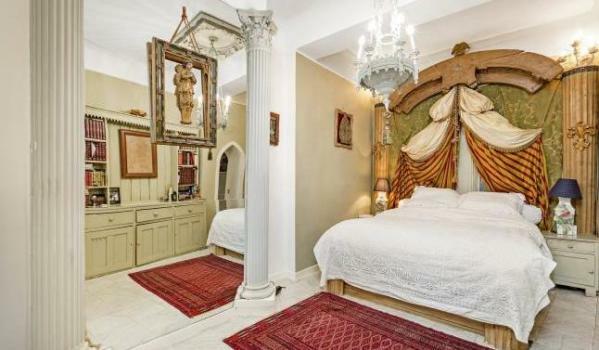 The grandeur of the flat continues into the bedrooms, one of which has been adorned with Greek-style pillars and an imposing chandelier. It also has the luxury of its own private terrace, with flowing curtains and romantic furnishings making it reminiscent of the Mediterranean. 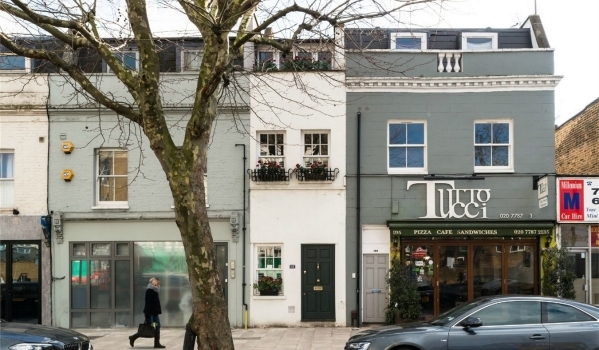 Even if the interior isn’t quite to your taste, that flat is in a desirable location with the appeal of Notting Hill, Shepherd’s Bush and Holland Park all on the doorstep. 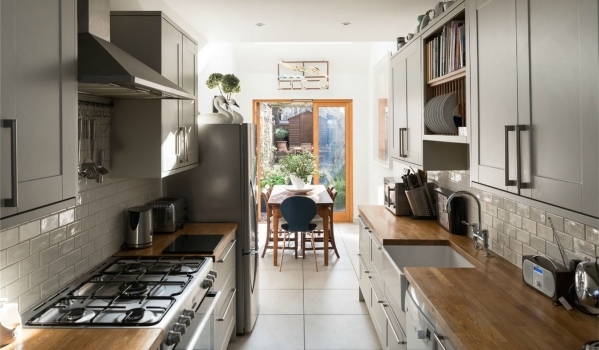 This four-bedroom terraced house measures just 2.3m wide, yet has been cleverly designed to provide over 1,000 sq ft of living space. The Victorian home in Clapham, London, was renovated and extended in 2012 and sits on the site of a former stable passage. Its creative use of light and space hasn’t gone unnoticed, with the house featuring on Grand Designs and winning The Architects’ Journal Award for innovative extensions in 2013. Spread across three 7ft 7in wide floors are an open plan living room, kitchen and dining area, four bedrooms and two bathrooms. If you’re looking for extra space to unwind, there’s also a manicured 50ft long garden. 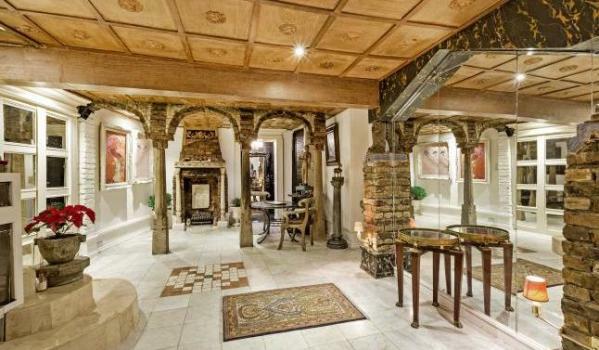 If you think this unique home could be for you, then get in touch with The Modern House, who are selling the house for £1m. Do you want to live in an iconic London building?